We provide Well Service in South Jersey (Salem Gloucester Cumberland Camden County), including Well Repair & Maintenance, Well Abandonment & Decommissioning, Well Cleaning & Chlorination, and Well Inspection (including Video Camera Inspection). We approach every water well job with years of experience diagnosing and solving problems that stand in the way of a properly functioning well. We understand how important water is, and our goal is to get your water supply up and running as quickly as possible. 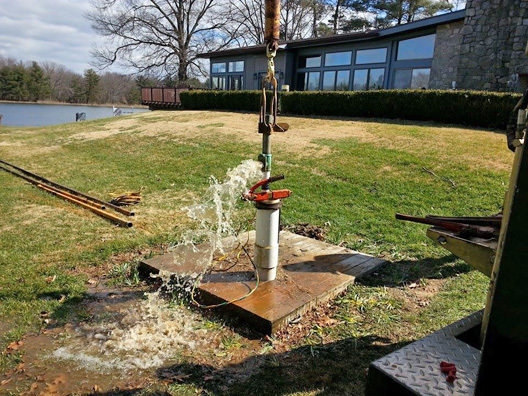 If your existing water well needs to be cleaned, repaired or inspected, or you have a well on your property that needs to be decommissioned, trust Aqua Tech Drilling, Inc. to handle the job effectively. Our Master Well Driller's license covers most water well needs, and we are also certified to seal and abandon wells.